One office or multiple sites - we design flexible multi-purpose platforms for communicating. 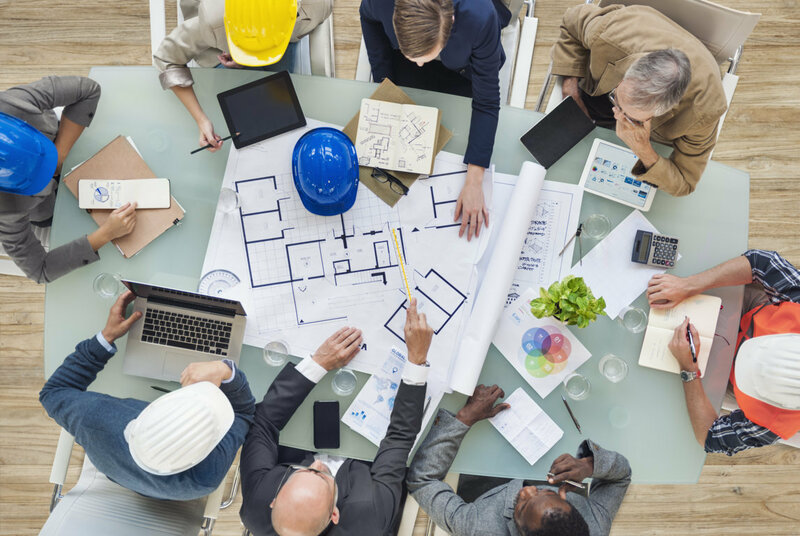 Teleco can help you design your communications infrastructure the same way your architect designs your building and other engineered systems - to meet all codes and standards, to provide flexibility and expandability, to protect and serve building occupants, and to minimize cost of ownership. Our designs incorporate the latest criteria provided by ANSI, EIA/TIA, IEEE, NEC, BICSI and more. We can offer extended warranties up to Twenty Five Years on infrastructure components for qualifying projects. Our technicians are manufacturer trained and certified on our main product lines. We provide as-built drawings, cable test results, product documentation and user training for every system. Details on every aspect of your project. Scaled drawings to show your site for a single building or a campus of multiple buildings that provide valuable information about underground communication conduits, overhead facilities and even wireless LAN bridges. We will contact your carrier and assist them with the design and installation of the correctly sized services for your facility including Internet Access, Telephone Service and Cable Television. We design and install inter-building cabling for networks, telephone, and cable television using fiber, copper, and coaxial cable. Fiber, copper, and coaxial cable for large horizontal facilities or multiple floors. Telecom rooms that provide room to grow and the latest technology for cable management, racks and cabinets, grounding and lightning protection, power management, and security. Properly designed cable raceways and pathways allow for the correct support for cable systems and also assure you that future upgrades to cabling, when required, can be done with minimal disruption to your business and minimum expense. Protection for valuable equipment, security, and management are the main functions of racks and cabinets. Equipment room patch panels provide the means for fast and efficient cross connect functions and provide an easy to maintain cable termination system. Telecom rooms are the consolidation point of many different types of communication cables, and cable management products provide support, routing, and visually inspectable systems that are efficient and easy to manage. We will build the core of your network with best-of-breed equipment from Hewlett Packard, Juniper, Netgear, and others. UPS systems not only provide short term battery backup to telecom room equipment but also provide AC power monitoring to make sure that spikes and surges do not damage sensitive network electronics, servers, and other equipment. Grounding and Bonding is an electrical requirement for telecom rooms to make sure that lightning and other high voltage sources have an isolated pathway away from equipment and people. Additionally, high speed data transmission generates considerable electromagnetic fields that can impede data transmission. A properly installed grounding system eliminates many of these problems. Working with your electrical engineer or contractor, Teleco can make the correct recommendations for electrical power to service the equipment you need. The Teleco Plan Room is where you will find access to your site plans for Telecommunications Infrastructure. A login ID and Password are required for secure access to your plans, visible only to you. Visit the Plan Room to see a sample. When you are ready to begin the design process, contact your Account Manager at Teleco or Submit the Request a Site Survey form by clicking the button.